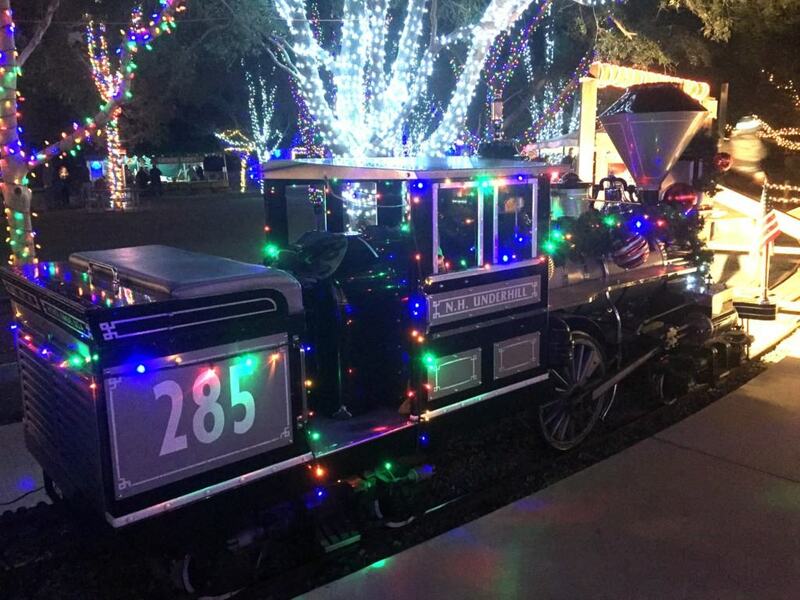 ‘Tis the Season, once again for The Irvine Park Railroad’s annual Christmas Train, beginning on Thursday, December 1 through Friday, December 23! 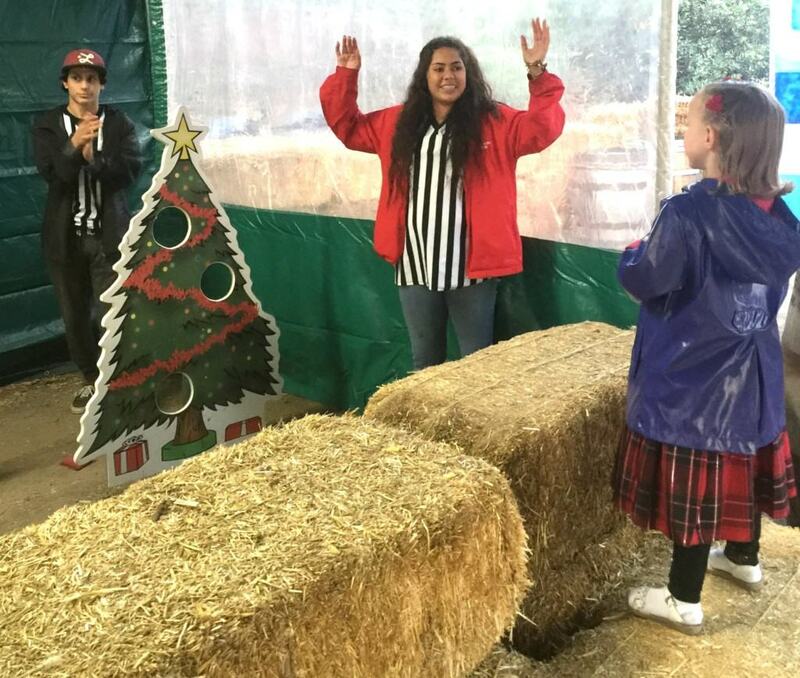 Bring your family and friends for an enchanting night ride through the historic Irvine Regional Park to meet Santa Claus at the North Pole. The train departs every 15 minutes from the brightly-lit train station and drops passengers off at the home of Mr. Claus for a photo opportunity. 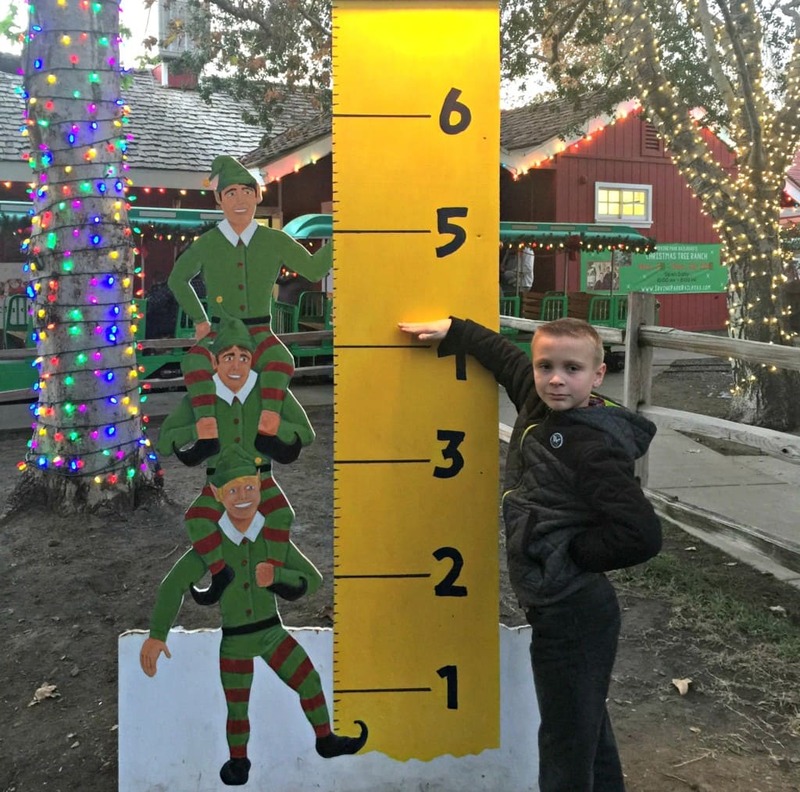 Visitors may take their own pictures with Santa or purchase a picture taken by Irvine Park Railroad. Each 5” x 7” photo is available for pickup shortly after being taken. 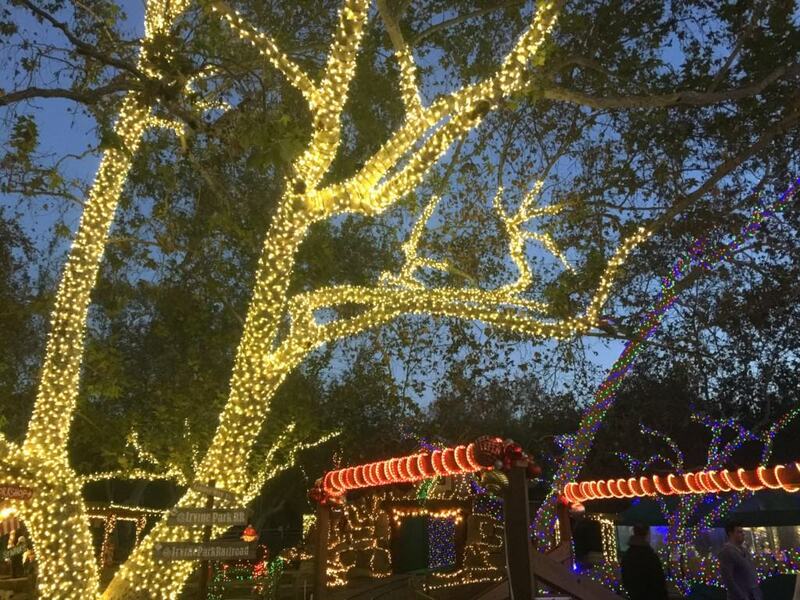 While on the train ride, you will notice the entire park lit up in thousand of Christmas lights and decorations that ushers in the holiday spirit with glee! 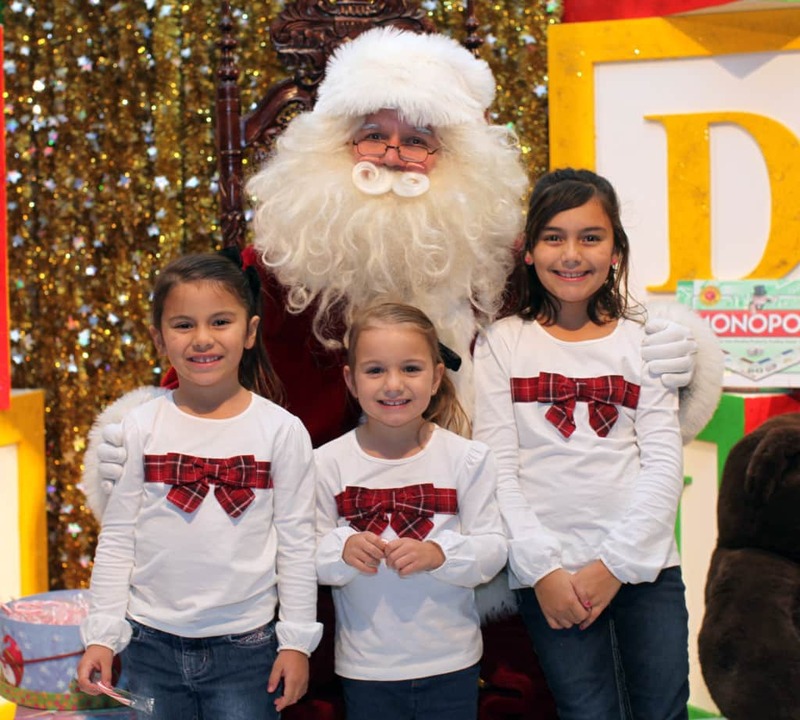 Make sure to bring along a camera to capture your little ones expressions as they gaze upon the Christmas skyline. 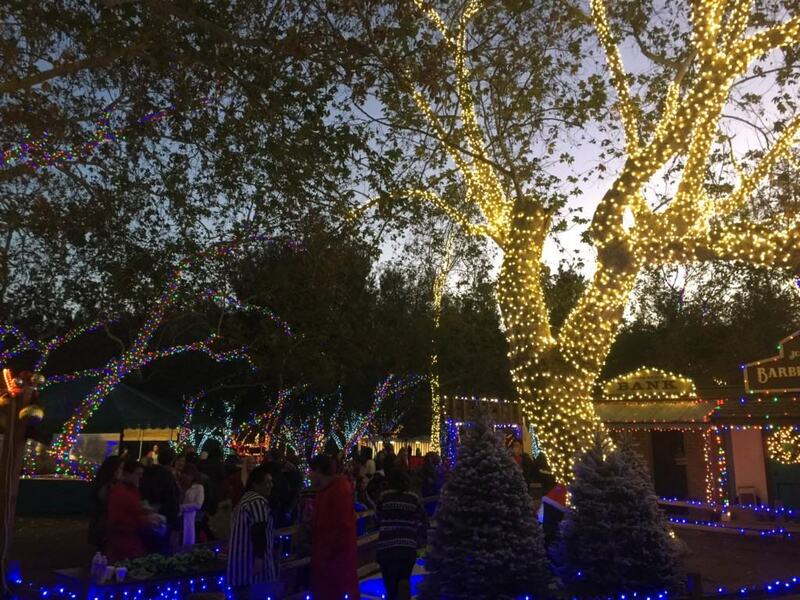 While waiting to board the train, there are many activities for children to enjoy in Santa’s Village located next to the train station. 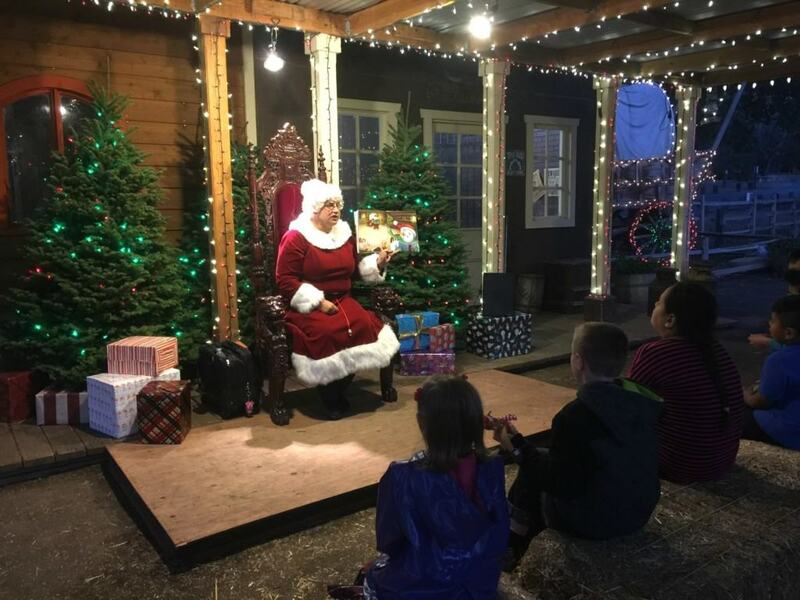 Listen to story time with Mrs. Claus, decorate a Christmas cookie, play a carnival game or two, go ice fishing or take a photo in front of the many picture stands. All activities open one hour prior to when the Christmas Train runs. Activity tickets are $5.00 each. Books of 15 activity tickets are available to purchase for $60.00 ($15.00 savings). 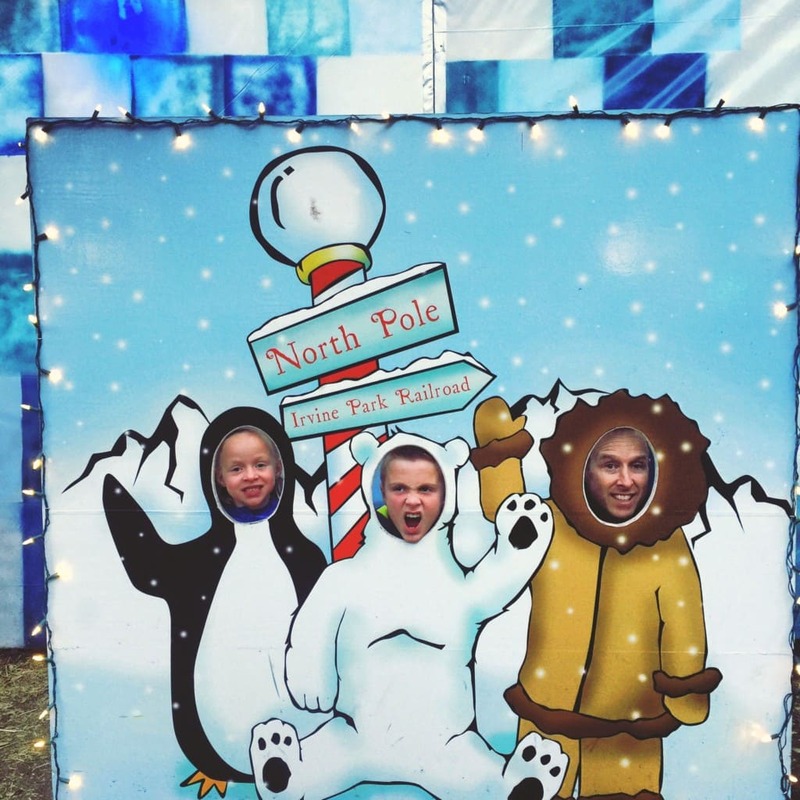 At the North Pole, visitors may also purchase coffee, hot chocolate, freshly-popped popcorn, hot pretzels and cookies from the Elf House Snack Bar. 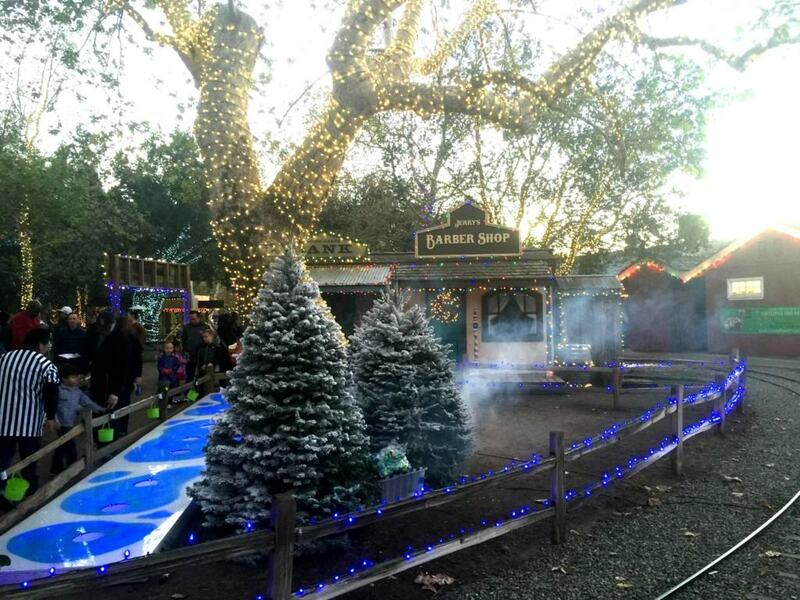 Christmas Train tickets are available for $12.00 per person, with children ages 24 months and younger being free. Tickets may purchased online and in advance at www.irvineparkrailroad.com. Please note, there is a one-time, online ticket fee applied per order. The cost for parking at The Irvine Regional Park is $3.00 per vehicle on weekdays and $5.00 per vehicle on weekends. 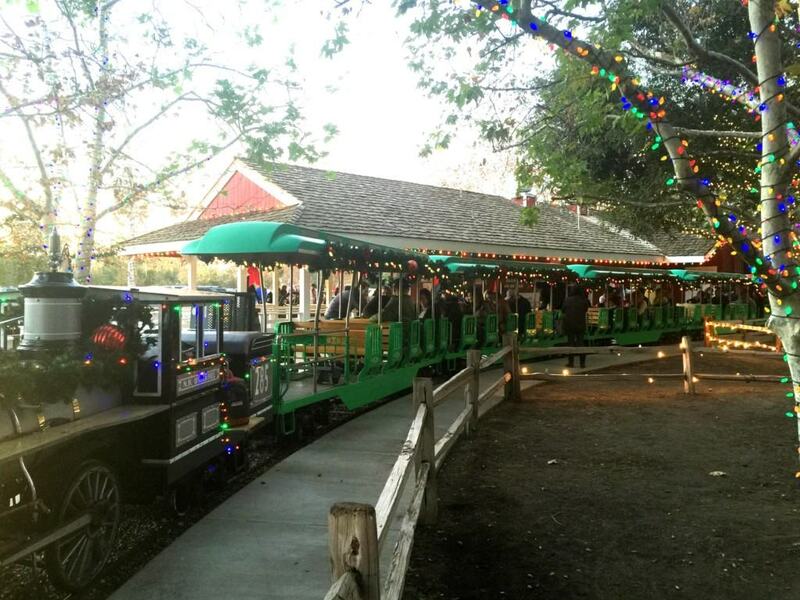 The Irvine Park Railroad is located at 1 Irvine Park Road in Orange, CA 92869. 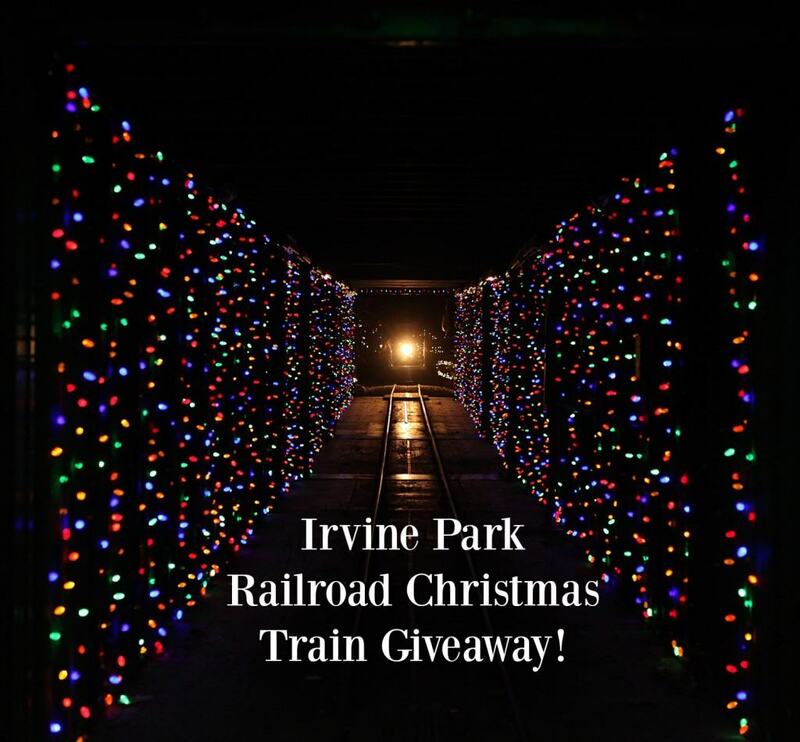 The Irvine Park Railroad is giving away 4 Christmas Train Tickets, 6 Activity Tickets and 1 Wheel Fun Rentals at Irvine Park Double Surrey Bike Rental to one lucky SoCal Field Trips reader! US Residents Only. No purchase necessary to enter. One winner will be randomly selected via RaffleCopter and notified via email. Winner must respond within 24 hours to claim the prize or a new winner will be chosen via RaffleCopter. The prize will be fulfilled by the sponsor. My favorite part about Christmas is spending time with family and friends but seeing the joy and happiness on my son’s face throughout the season! I know he would love the IPRR Christmas Train (and so would I!!) Thanks so much for the opportunity! Twinkling lights and decorations everywhere!